If you bought an ice cream, wouldn’t you add your favourite topping to make it more delicious? Likewise, a business number can be so much more with the right services. Implementing 24 Seven add-ons – like call management and our interactive voice response (IVR) system – will net you some valuable benefits. Get ready – you’re about to discover exactly what those assets are. Here are five ludicrously good services that will boost your business in spectacular ways. Transform your business line into a professional asset using our call management services. You have three options to ensure all your company needs are met. Our basic package provides call personalisation and advanced handling features. Put on your best business voice or let us record the message for you, either way a welcome message is super easy to set up. Similarly, you can create a personalised voicemail greeting. A slick and personal message will encourage callers to share their reason for dialling rather than flee at the sound of the beep. On top of that, you can also receive voicemails via your email for quick access. Unlocking basic call management also gives you call statistics. Understand all your call traffic for insights that will increase business efficiency. Hungry for more? That’s good because our essential package gives you greater control over your business number. Take our call whisper add-on. It alerts you of who’s calling before you have to answer. Finally, our premium service includes nine keypad options. This allows callers to direct themselves to the relevant department so you don’t have to. Each option can be routed to a maximum of four destinations and also comes with whisper messaging plus personalised greetings. Can an IVR system boost your business image and call efficiency? Please select option one or say “yes” because it absolutely can. Reduces call abandon rates – by planning your customer call route you cut out the need to stick callers in queues as they wait to connect. Improves your brand image – little sings your praises better than a professional caller experience. Our IVR system puts the right people on the right call to save your customer’s time and uphold your business values. Enhances customer service – nobody likes listening to elevator music while waiting to be put through. Shorten your calls and increase customer satisfaction using our IVR system. No doubt you know the value of conference calling – imagine if you had to attend every meeting you arranged in person. Perhaps you haven’t set up a system yet because it’s too time-consuming. Our conference calling implementation is lightning fast. You can start your first meeting instantly after set up too. There are no hidden costs. We don’t charge for registration and calls are usually free (all calls dial in to an 03 number which is inclusive in most mobile bundles). Record all those important customer calls and team conversations to and from your mobile phone in real-time. Our mobile call recording software enables this and on an infinite level. Unlimited storage means you never have to delete data to record a new call. Also, if you’re providing financial advice over the phone (making transactions, recommending a product etc) the MiFID II new legislation holds you accountable for recording those calls. With our technology, you can do this securely so you can maintain accurate and transparent records for MiFID II compliance. And with full storage access, you are fully in control of your call data. Moreover, with a customisable address book, you can preset numbers to include or exclude for recording making this an efficient activity. Fancy taking your business global? Perhaps you already have but international calls are putting a dent in your finances. Using a standard network provider will do that. We can slash these costs so you only have to pay a minimum of 1p per minute. We can set you up with international calling ability within 24 hours. It’s an essential solution if you have clients, suppliers, factories or offices around the world. This service is available for both landline and mobile calls giving you the flexibility to do business however you prefer. The Magic Number to Success? Did any of this raise more questions for you? You might find answers in our FAQ. If not, please don’t hesitate to get in touch – we like calls (or emails), especially when they’re from you. 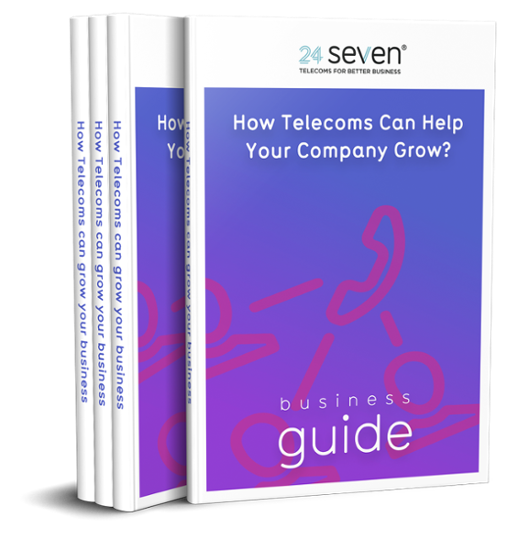 Ready to Supercharge your Business Telecoms? Download our free guide to add some rocket fuel to your long-term growth! 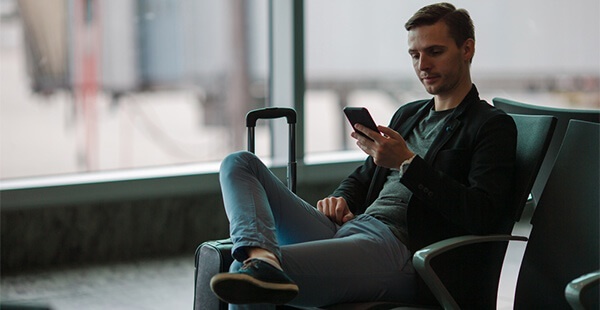 For professionals, a big part of the job is travelling and increasingly, this means getting work done on the go. In order to do this, we need technology which supports modern demands….